You can do the towel stretch right away. 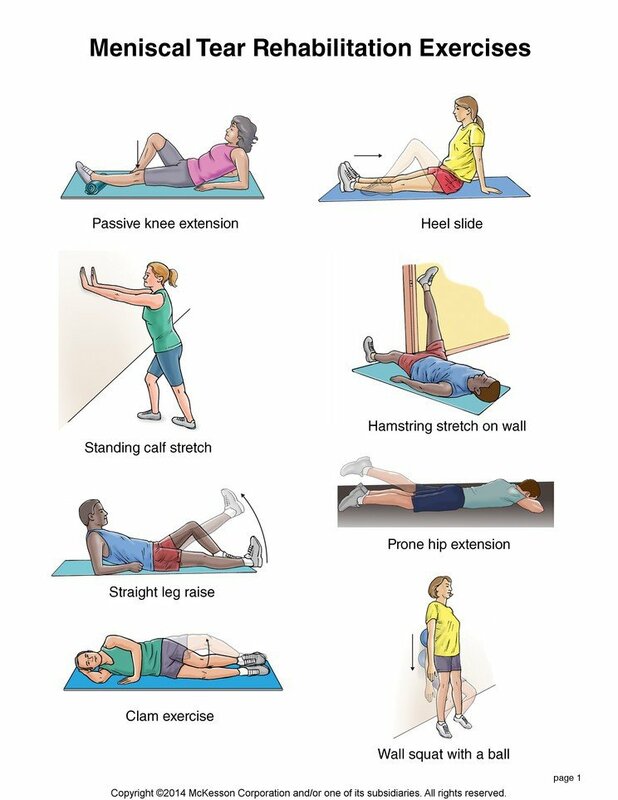 When the towel stretch is easy, try the standing calf stretch, soleus stretch, and leg lift. 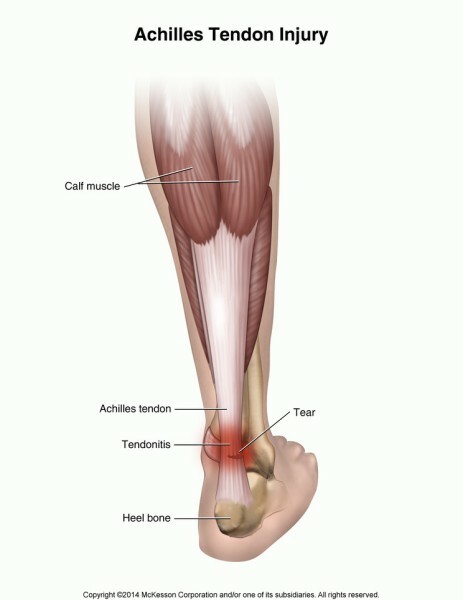 When you no longer have sharp pain in your calf or tendon, you can do the step-up, heel raises, and static and balance and reach exercises. 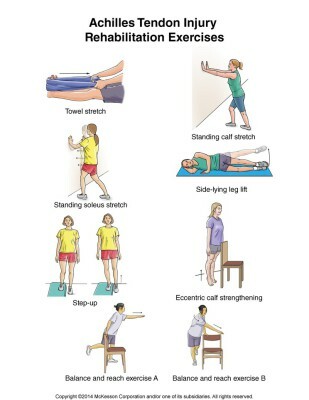 Eccentric calf strengthening: Stand behind a chair or counter with your feet flat on the floor. Using the chair or counter as a support to help you, raise your body up onto your toes and hold for 5 seconds. Then slowly lower yourself down with your injured leg only. (It's OK to keep holding onto the support if you need to.) Repeat 15 times. Do 2 sets of 15. Rest 30 seconds between sets.